Ziploc brand bags have been a go-to for corn allergy people for some time now. Plastics can be an issue for corn allergies, but the particular plastic in ziploc bags was from petroleum and was not dusted or oiled with anything. I personally have been using Ziploc bags for freezer storage, cosmetic and utensil storage, packing while traveling, and even to package my custom processed meat. Well, as it turns out, nothing good can last forever, because there may be an issue with the new version of the Ziploc bags that hit the shelves a few weeks ago. The new bags have an “easy open tab” and look like this. In addition to the new closure, the bag itself is a different texture, simultaneously thinner and shinier, and a couple of the very, very sensitive folks have reported reactions to it. One of the people reporting reactions was also the first to notice an issue with the new Ball BPA-free canning lids, so I am minded to heed this warning and exercise caution. Around the same time as people started reporting reactions, i started having some signs of mystery inflammation that started around the same time as I started using the new bags here and there. I also added back the honey that I had run out of for a few weeks that had been safe for me previously around that time, so I have cut them both and will update this post if re-introduction reveals a clear culprit. For now, I would not panic, just exercise caution with these new bags. If you are in a delicate health state or have delayed or hard to pin reactions, I would not try them until you have your diet otherwise stable so that you don’t get confused about what the cause of any potential issues is. 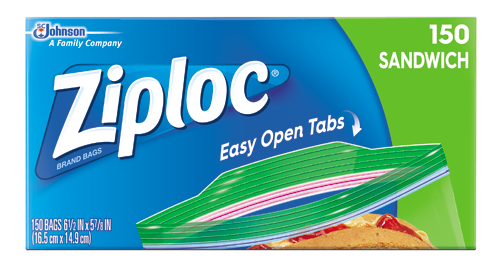 I have not done any work to contact Ziploc and find out what they say changed or not, I am only reporting reactions at this time. if someone does correspond with Ziploc and wants to post those results here, that would be welcome. Update Feb 2017: A couple months ago I re-introduced the Big Tab ziploc bags and had esophageal swelling from all food that had been in one. Not safe for me. I can’t be sure if this is a corn issue or not, but they are definitely not okay for me. I have a stockpile of the old-style bags and am moving to glass pyrex or anchor hocking storage containers, mason jars, metal U-Conserve storage containers, and other reusable options when possible, and Reynolds brand aluminum foil when I absolutely need something disposable. Update June 2017: I have been using the Ziploc stand & fill slider bags, both the freezer & storage, since last Feb and have been doing great with them. These may be an option for you if the easy-tabs don’t work. Update December 2017: Dr Bronners switched back to citric acid from tapioca, but says they will switch periodically depending on the availability of different sources of citric acid. It is always the same across all castile soaps when they switch. Dr. B’s unscented baby mild has been a staple for me for a long time. Body wash, hand wash, cleaning product. About 6 months ago people started reporting reactions, and I noticed that I was getting more and more eczema on my hands that went away when I didn’t wash it with the Dr B’s. Yeah, someone just went to their web site and saw that they now state that their citric acid is from non-GMO corn. Previously the citric acid was from tapioca, and in fact they currently state on another page of their site that the citric acid is from tapioca, and in September of 2013 they responded in an email to one of our Facebook members that the citric acid was from beets, so this is clearly a somewhat recent change. A contact from Dr Bronner’s customer service department tells me that they have been using the corn source for over a year, which can’t quite be the case since they last told us beets in September. But I do think it’s likely that they changed shortly after that and a lot of the older stuff didn’t rotate out of stock until 6 months ago or so. One of our Facebook group members has asked for a date/lot #’s so that we can perhaps identify older bottles that are still safe. I have updated my product list to remove this product but I don’t have a perfect replacement yet. For now I am using Olivella Fragrance Free Bar Soap and making it into a liquid when I need it to be liquid. But it doesn’t work for dishes that well, so I’m not really sure what I’m going to do long term. I’m looking into using soap nuts for cleaning and personal care, but I read that when you make liquid out of soap nuts they go rancid within a couple weeks, so just not sure.